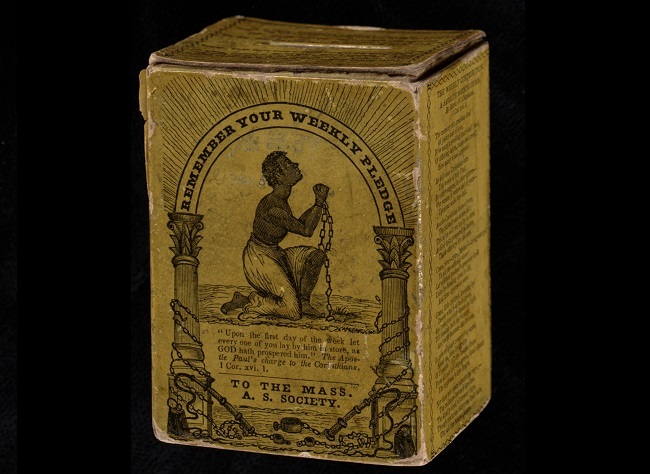 Massachusetts Anti-Slavery Society, Weekly Contribution Box, c. 1840. Boston Public Library Rare Books & Manuscripts Department. Image courtesy of the Boston Public Library website. In 1836 Mary Slater of New Orleans visited her father Thomas Aves in Boston and brought along Med, a six-year-old slave girl. Slater’s stay in Boston was extended when she fell ill, and Med was housed by Aves during her mistress’s lengthy recuperation. Several local abolitionists and lawyers, on behalf of both the Boston Female Anti-Slavery Society and the young girl, petitioned for a writ of habeas corpus against Aves, arguing that because Med was “free by the law of Massachusetts” the state court must intervene on her behalf to prevent her from being forced to return to New Orleans. The Massachusetts Supreme Judicial Court, led by its chief justice Lemuel Shaw (Herman Melville’s future father-in-law) ruled unanimously in Commonwealth v. Aves for the petitioners, in favor of Med’s freedom. In his decision Shaw distinguished the case at hand from situations involving runaway slaves (which were covered by federal law) and determined that “if a slave is brought voluntarily and unnecessarily within the limits of this State, he becomes free, if he chooses to avail himself of the provisions of our laws.” The court placed Med in the care of a guardian, and she was eventually adopted by Isaac Knapp, the famous copublisher of the abolitionist newspaper The Liberator. The ruling was almost immediately used by activists to free slaves voluntarily brought by their masters into Northern states. Chapman chose to disregard her sister’s advice to not publish the couple’s story, and “Pinda:—A True Tale” appeared weeks later. The names Pinda and Abraham are retained in the tale—although, even in the correspondence quoted above, these are almost certainly pseudonyms—and Hogan becomes Logan. Although the real identities of Pinda, her husband, and their former owners have never been determined—and it’s not known what became of them—surviving documentation otherwise confirms the seemingly melodramatic essentials of Chapman’s fictional version. The story was published in late October 1840 in an early issue of the National Anti-Slavery Standard, founded that year by the Lydia Maria Child (best known today as the author of the poem that begins “Over the river and through the woods”), and it was widely distributed as a small book by the American Anti-Slavery Society in New York. 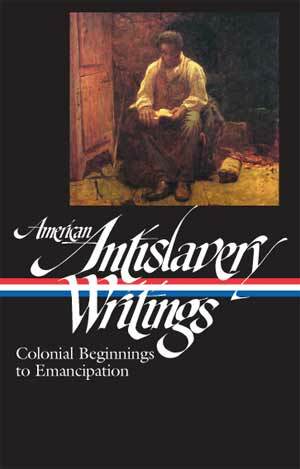 This week’s selection is preceded by a headnote on Maria Chapman written by James G. Basker when “Pinda” was included in the Library of America anthology American Antislavery Writings. Notes: The opening of the story takes place on the Eli Whitney, an actual ship, named for the inventor of the cotton gin. On page 389 is a reference to Paul’s Epistle to Philemon in the New Testament. Philemon, a wealthy Christian in Colossae, owned a slave named Onesimus. Shortly after Paul had left Colossae, Onesimus ran away to Rome, where he met Paul and converted to Christianity. Eventually, Paul sent him back to his master, urging Philemon to treat him as a brother. Garrison, first mentioned on page 395, refers to abolitionist William Lloyd Garrison. * The documentation for this case is excerpted more extensively in Kathryn Grover’s Fugitive's Gibraltar: Escaping Slaves and Abolitionism in New Bedford, Massachusetts (2001). One dark night in the year 1836, an unusual stir took place on the deck of the good ship Eli Whitney, about to sail from Boston to Savannah. It was occasioned by the appearance of an officer, charged with a writ of habeas corpus, in favor of a supposed slave, who was known to have been carried on board by her master. . . . If you don't see the full selection below, click here (PDF) or click here (Google Docs) to read it—free!